Walking across the Turkish bridge to the fortress, (4) we look to the left to see the river far below. Along the escarpment is the southern defensive wall (14) with the Turkish barracks (13) just beyond it. 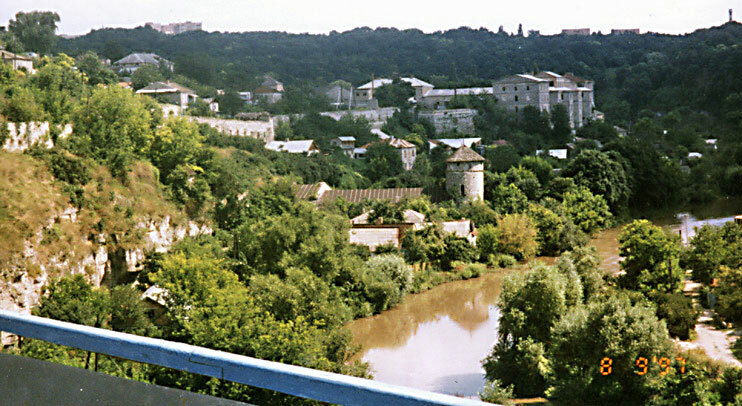 In front of the barracks at the river level is the "Russian Gate" (7 on city plan) with hydrolic works. We will visit this relatively well preserved part of the fortifications.